Are you wondering if it’s time to replace that old, deteriorating wooden shed with something a little stronger and more durable that won’t require the regular maintenance involved with wood structures? Your wooden shed is beginning to resemble the Leaning Tower of Pisa- We’ve all seen them. Old wooden sheds, garages, and barns that are starting to lean precariously to one side. This is, of course, unsafe and isn’t doing much good as far as storage is concerned as moisture (and anything else) can find its way in. Steel Sheds are manufactured to withstand the punishment of severe weather over time and will not experience this problem. Your wood shed has become a top winter destination for rodents and other critters- As time passes, wood deteriorates and can be penetrable by mice, rats, and other critters, creating the perfect opportunity for these animals to make their way in for a nice vacation home when the weather gets chilly. This can cost you lots of clean up and money in damage and loss due to animals chewing (and soiling) on the items you are storing. Animals cannot chew or scratch holes through galvanized steel siding, so as long as your metal shed is anchored well to a solid base, you won’t have to contend with critters. Your shed is beginning to smell like a mushroom garden- Do you smell moisture and dirt when you open your shed door? Does it make you think twice about putting anything of value in there? As time goes on, wood structures are affected by the elements and begin to crack, warp, and rot, creating spaces for water to get in and cause further damage. But beyond smelling bad, the moisture can ruin items you are storing and will wreak havoc on the interior of your structure. Metal sheds are not susceptible to rotting, cracking, and warping and are far easier to keep watertight over time. Termites have taken up permanent residence in your wooden shed-Unfortunately, wood is a tasty treat for termites, and once they have taken up residence in your wooden building, it is costly to get them removed. Steel sheds are not susceptible to these infestations. Your wood shed is multi-colored, but not in a good way- Do you enjoy scraping, power washing, and repainting your wooden shed every couple of years? Didn’t think so. Chipping and peeling paint are frustrating and time-consuming to deal with. 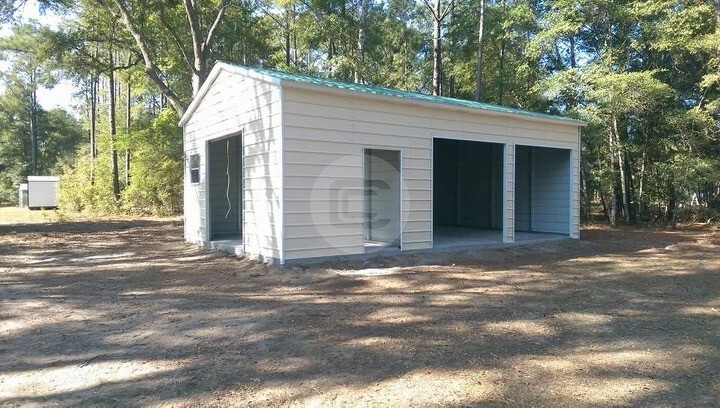 Steel sheds are manufactured with the custom color of your choice to resist cracking and chipping for years to come. Even if you experience a scratch or spot that needs repainting, it is a quick and easy fix. If you are experiencing any of the signs above, it might be time for a new custom steel shed. 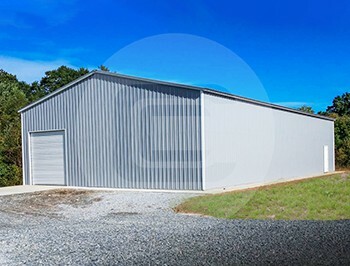 Give our friendly customer representatives a call at (888) 712-9804 for a free quote on a durable, maintenance-free metal shed that can provide you with a clean, attractive, dry storage space for years to come.